Just when it seemed that World Sailing had reached calmer waters, the whole show takes to the Internet again with reports of technical mayhem and inaccurate voting. The release of the provisional Minutes and Voting Schedule for the controversial Council meeting in November to the members of World Sailing’s Council, has apparently re-opened the debate over who voted for what! To read or download the draft minutes click here. The controversy centres on the vote taken to allow the last minute “urgent submission” by the WS Board, that substituted a Mixed Two Person Keelboat event for the Mixed One Person Dinghy event in the 2024 Olympics. Apparently at least three members of the Council have claimed that their votes were either recorded as “Approve” or as “Abstain” for the controversial issue. The three members spoke against the Submission and said they voted to “Reject” submission 037-18, the “urgent submission” request. If that is the case than it would have failed to get the required 75% to allow it to be considered, and the Board’s submission to substitute a Mixed Two Person Keelboat event for the Mixed One Person Dinghy event would have failed. There were technical problems with the voting pads used by the members to record their votes, and during the various vote attempts members were instructed to re-press their devices when they failed to record their vote. As no actual record of the vote choice was indicated on the screens at the meeting, just a graphic of the overall results, individuals could not check that their vote had been correctly recorded. Just to note – the minutes were distributed to Council for their approval. They have not been published yet. 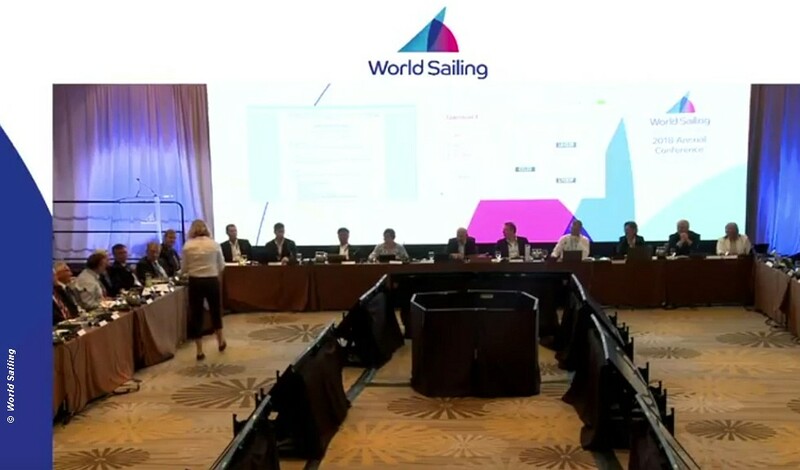 World Sailing’s Board of Directors will discuss the notifications made by Council members related to voting at the 2018 Annual Conference in Sarasota, Florida during a pre-scheduled conference call on 3 December 2018. World Sailing will comment further following the conference call. World Sailing pulls it off!